If you see a car in this video, it will crash. 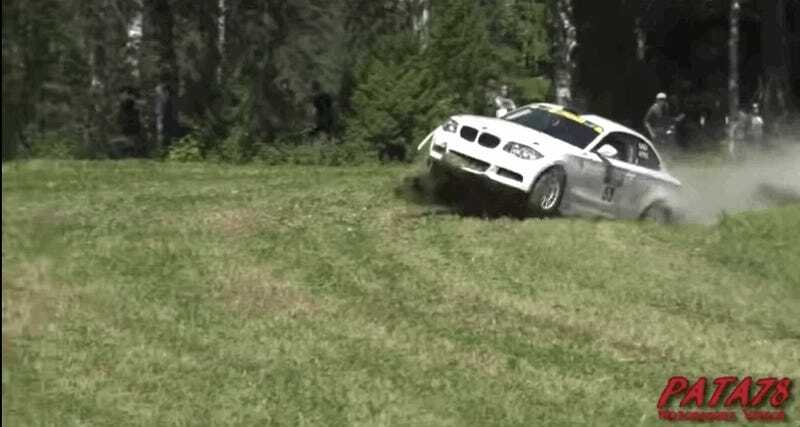 But it’s not the crashes I love so much as it is the reactions of the Finns watching the crashes in this compilation of local Finnish rallies from the past year. Yes, a ton of people immediately do rush to help the drivers, check to see if they’re hurt, and get the cars going again (if possible). But there’s also a heck of a lot of hooting, hollering, cheering, and all-around applause for truly spectacular crashes. Also, a shirtless Finnish man chasing after a flipping BMW with his arms raised. Finland is good. Rally is good. Finnish rally is great.